Earlier this month, IDC (above) reported that Apple's U.S. Mac unit sales in Q2 (Apple's fiscal Q3, the quarter ending in June) fell by 1.7 percent, while Gartner (below) reported a drop in Mac unit sales of 1.3 percent. Both firms supplied slightly different estimates on both Apple's Q2 2014 and previous year Q2 sales, although their Mac and overall U.S. PC sales differed by less than a third of one million units in a total market estimated to involve around 16 million total PC sales. In Apple's filings with the Securities and Exchange Commission, however, the company reported a major global surge in Mac sales. "Net sales and unit sales increased for Mac due to strong demand for MacBook Air which was updated with faster processors and lower prices in April 2014 and due to sales of the new Mac Pro which became available in December 2013," the company reported in its 10-Q. Globally, Apple reported that Mac sales jumped from 3.75 million to 4.41 million year-over-year for its fiscal Q3, a unit increase of 18 percent and a new June quarter record. [Corrected typo in quarterly sales figure, originally stated as 5.41 million]. "This growth is particularly impressive, given the contraction of the overall PC market. Macs have now gained global market share for 32 of the last 33 quarters," Maestri added. Apple didn't resort to channel stuffing to achieve record June Mac "shipments." Instead, Maestri noted that "we ended the quarter with Mac channel inventory slightly below our four to five week target range." Apple "had a record June quarter for Mac sales," Apple CEO Tim Cook stated in the company's fiscal Q3 earnings call, "with growth of 18% year-over-year in a market that is shrinking by 2% according to IDC's latest estimate. Demand has been very strong for our portables in particular and we've have had a great customer response to the new higher performance, lower priced MacBook Air. It was another strong performance for the App Store and the other services contributing to the thriving Apple ecosystem." Cook also drew attention to the "bifurcated" market emerging for iPads, which have continued to grow rapidly in emerging countries and in particular BRIC (Brazil, Russia, India and China) even as Apple's tablet sales appear to have plateaued in the U.S. and other advanced markets, contributing to a global overall slowdown in iPad sales. While iPad sales retracted in the U.S., Cook noted that Apple's Mac sales made up the difference. American buyers opted to buy more powerful Macs, and in particular Apple's light and thin notebooks. As a result, despite iPad sales slipping globally by 9 percent, Apple's U.S. and Retail segment (most Apple Retail stores are in the U.S.) figures were both up 1 percent over the year ago quarter. While consumers may likely choose to buy a Mac in place of an iPad or vice versa, there are also a variety of scenarios where one sale directly results in the sale of the other. One example is in education, where Apple is selling both Macs and iPads. 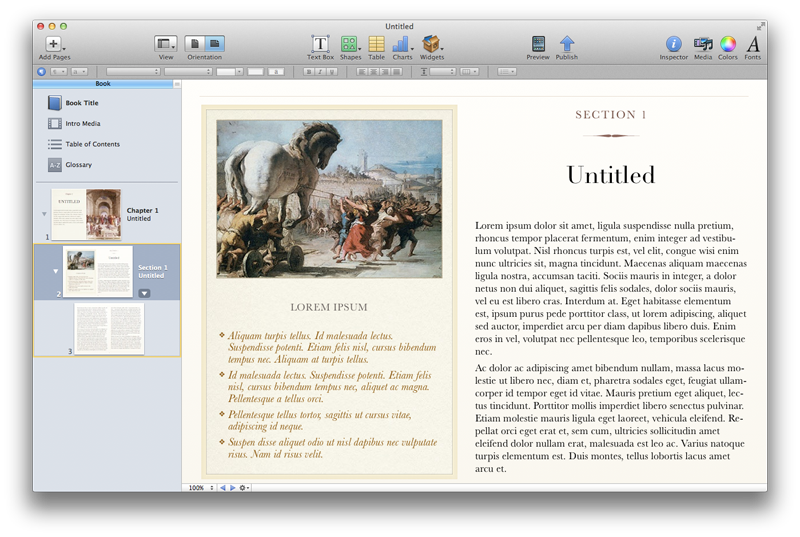 Teachers can use Macs with iBooks Author to develop custom content for iPad. "Macs performed well in the U.S. education buying season with double-digit growth in the K to 12 market," Maestri noted, "driven primarily by large deployments of MacBook Air. The Shawnee Mission School District in Kansas chose Apple to provide an entire solution that will equip every teacher with a MacBook Air and an iPad Air, every high school student with a MacBook Air and every middle school and elementary student with an iPad." Additionally, in the enterprise where iPads are being broadly adopted for use running custom, internal iOS apps, companies are buying Macs to develop new apps, because iOS apps are developed using Apple's Xcode, which remains exclusive to the Mac platform. Apple's sales figures not only contradict both IDC and Gartner figures, but also both firm's market conclusions. IDC specifically reported that Apple's Macs "lost market share over the past year. In U.S. shipments, Apple slipped to become the No. 4 PC maker, dropping from the No. 3 spot to come in at 10 percent market share, a 1.7 percent decline." IDC's incorrect assessment of Apple's double digit U.S. growth percentage as a year-over-year "decline" also calls into question its ranking of Apple as the fourth largest maker of conventional PCs in the domestic market, as the narrowest possible interpretation of Maestri's "double digit" growth would essentially tie Apple with Lenovo in U.S. sales, according to IDC's own figures. More importantly, it also means Apple's Mac sales continued to outpace the overall industry. Both firms reported that Apple lost share in the quarter. However, IDC estimated the U.S. PC sales increased by just 6.9 percent. Globally, it reported that PC sales fell by 2 percent in the quarter as Apple's Mac sales grew by 18 percent. Gartner estimated that U.S. PC sales grew at a slightly faster pace of 7.4 percent, still far behind the "strong double digit growth" Maestri reported for Macs. And Gartner's numbers portray Apple and Lenovo as being even closer than IDC's, suggesting that there's no way Apple could have experienced a "double digit" percentage in growth without surpassing Lenovo to become the third largest vendor of conventional PCs in the U.S., behind HP and Dell. In calculating their PC "market share" numbers, both IDC and Gartner include low end netbook and hybrid devices and Windows tablets. IDC also counts Chromebook web browser devices, but both firms exclude sales of Apple's iPad from their PC sales figures. If they had included iPads and other tablets in their PC figures, they would be forced to recognize Apple as being the largest computer maker by a wide margin. Despite much media handwringing about Apple's year-over-year decrease in iPad sales, the company still sold 13.3 million iPads globally in the quarter, more than Samsung, Lenovo and Asus (the next three largest vendors, according to IDC) combined. Canalys is one market research company that does report combined sales of PCs and tablets without excluding iPads, although it has not yet publicly released its figures for Q2. For Q1, Canalys noted that Apple was the largest global vendor of computers, with Lenovo in second place and HP, Samsung and Dell nearly tied for third place, with each selling about half the total number of computing devices (not including phones or iPods) as Apple. Apple first surpassed HP in combined sales of tablets and PCs in the holiday quarter of 2011. This was not due some obscure counting methodology by Canalys, but a reality acknowledged by HP's chief executive Meg Whitman, who noted to journalists in late 2011 that Apple might likely pass her company in computer sales in 2012. As it turned out, Apple did so that very quarter. IDC, Gartner and Strategy Analytics have a long history of presenting carefully contrived data in press releases clearly designed to flatter their clients and denigrate their clients' competitors, with Apple being a common target. Beyond just serving the public relations needs of their clients, however, data promulgated by these marketing firms helped to obscure major shifts in the technology landscape, such as the clear and obvious shift away from conventional PCs that began with the appearance of iPad in 2010. Thanks to regular press releases clouding the facts on phone, PC and tablet sales, there appears to be a mass delusion among consumers and journalists as to why and how Apple is earning the vast majority of profits in phones, tablets and conventional PCs. In addition to excluding iPads from their PC sales (while counting Windows tablets and including every other new form of PC device), IDC has also (like Strategy Analytics) radically revised its tablet figures after the fact, inventing, for example, Samsung tablet shipments that retroactively disappeared in the next year's figures. At the same time, IDC inflated its year ago estimates of the number of tablets attributed to unnamed "other" vendors by nearly ten million units, creating unflattering market share numbers for Apple in 2012, followed by unflattering market share growth figures for Apple in 2013, all coaxed from shifting numbers presented without any verifiable source. 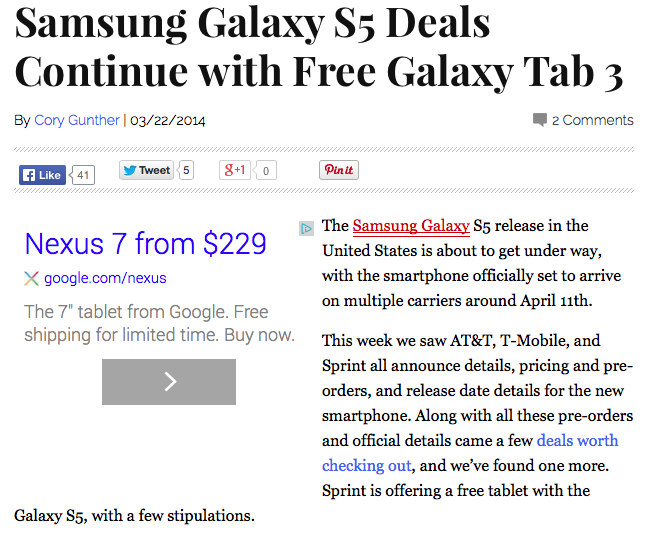 Apart from Apple, no other significant tablet vendor reports its unit sales. IDC has also obscured the reality of Apple's iPad sales by comparing them to kids tablets and toys, in order to water down Apple's "market share" and imply that iPads are falling out of fashion--while distracting all attention away from the fact that nobody is selling premium tablets in volumes like Apple with margins like Apple. Earlier this year, IDC was found to have added Windows 8.1 "2 in 1" PC notebooks into its reports of tablet shipments, another effort to portray Apple's "share" of the "market" as diminishing, and a direct reversal of IDC's staunch policy of not counting iPads as PCs, ostensibly because they are completely different product categories with no perceivable market impact on each other. IDC's latest tablet figures for Q2 2014 assert that an incredible 44 percent of the world's tablets are now attributable to "Other," a series of unnamed vendors who each must ship fewer than 1 million devices per quarter (the figure cited for Acer, the fifth largest tablet maker in IDC's numbers). If the intent of these market research firms were to actually inform the public about market trends, they wouldn't need to jump through such logical hoops, invent contradictory market definitions nor invent or erase millions of "shipments" when nobody's looking. Samsung, Lenovo, Asus and Acer simply can't sell tablets the way Apple consistently can--in volumes greater than ten million units per quarter. Amazon, Microsoft and Google--despite the best wishes of Apple's detractors--can't maintain shipments of even 1 million tablets per quarter to keep them listed on IDC's charts, despite heavy discounting, clearance sales and product giveaways on top of their already loss leader pricing. The very fact that such a glut of "tablets" is being dumped on the market below cost should make it impossible for Apple to sell any iPads at regular price, yet Apple continues to sell iPads in quantities far above any other individual tablet vendor. The histrionic efforts by these market research firms to minimize Apple's success may be fooling the audiences of people subjected to relentless headlines that regurgitate the idea that Apple is perpetually spiraling downward in "market share" at the hands of both big PC makers and dozens of tiny tablet vendors--even as Apple reports quarter after quarter of industry leading sales and profits. However, apart from the truth, the primary victims of this sort of sycophant market data appears to be Microsoft, Google and their Windows and Android licensees, who have been lulled into passive slumber by soothing praise that tells them they are winning when they actually are not. If Samsung financed the hogwash Strategy Analytics churned out throughout 2013, it should really be demanding its money back. And if Microsoft and HP are serious about cutting expenses, a good place to start would be terminating the propaganda-flattery that has dutifully portrayed their failed strategies as "winning" market share rather than losing control of the computing landscape to Apple.